I know it’s quite easy to put music from a computer to an Android phone if it has a SD card. However, it takes a little elbow grease if there isn’t a SD card or the songs are not in the Android supported format. Calm down! Follow the steps below to solve the problem. Install iMusic on your computer and run it. After then, connect your Android phone with your computer via a USB cable. When the software detects the device, it will display the device name under “DEVICE”. 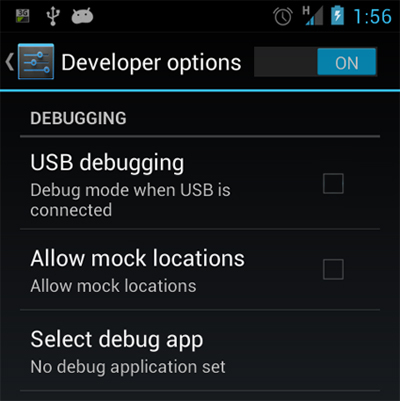 If you can’t see the device detected, please enable the “USB Debugging” in the Settings menu. Click “DEVICE” menu on the top of the software, then click the music icon on the left side. From there, you can see all the songs on your Android phone connected to the computer. Click the add song button on the right side (the 1st icon), then choose “Add”. 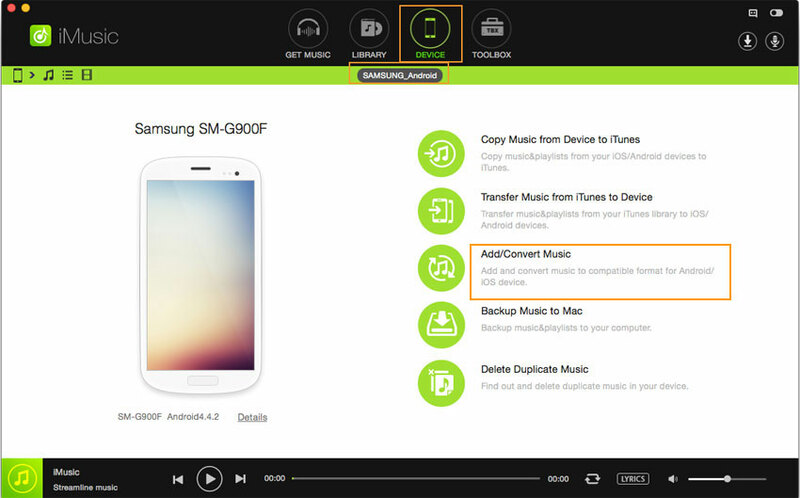 Next, choose songs or a folder and click “Open” to put songs from PC or Mac to your Android phones. On iMusic for Mac, there is another option to transfer music from Mac to Android phones. See the option “Add/Convert Music” in the “DEVICE” management window? 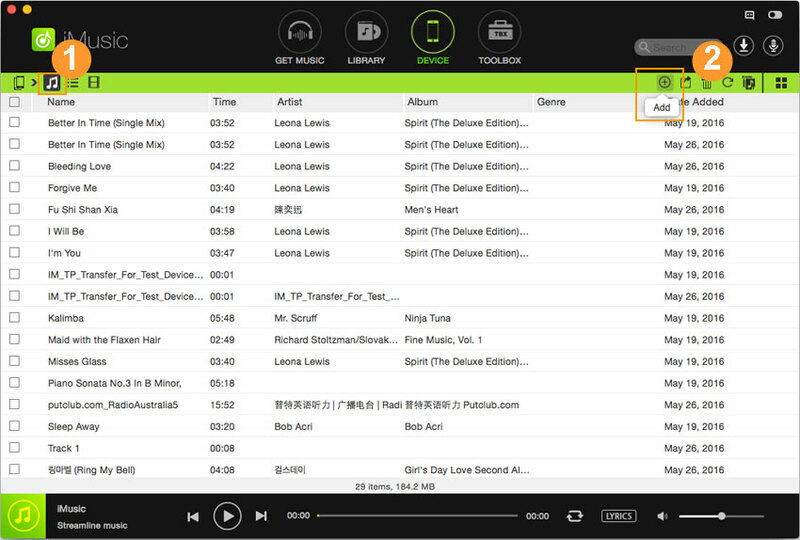 Clicking it, then a window will pop up, letting you browse and select songs to transfer to your iPhone, iPod and iPad.